I swear it was only yesterday we were talking about S/S and lo and behold the Autumn/Winter season for 2015 is already here! It’s amazing how designers constantly churn out new collections, each unique, in the space of a few months, and thank god they do because it keeps things interesting for someone with a 9-to-5 (ok, 8-to-6) job like myself. As always we start in New York, and here are my favorite collections. You all witnessed my stanning for Delpozo last season, and I can tell you that this collection has made me fall further in love with the brand. It’s rare nowadays to see brands present shows that are ambiguously both couture and prêt-a-porter, a mindset the lines designer Josep Font seems to be all about. As per usual, the colors integrated into the show were bright and crisp, inspired by the work of Rhys Lee. The cut was also sharp, and served as an illusion of different body shapes, rather than following a classic silhouette. What was new to this collection was a dark softness, mostly seen in the embellishment and use of chiffon. Particularly spectacular was a pail blue jumper, woven in such a way that it seemed flowers were erupting from the knit. The only mishaps, in my opinion, were the two final looks, which lacked the cool and collected vibe of Delpozo, but sort of seemed to weigh down the models. Nonetheless, Font remains one of my favorite designers, and I can only hope we shall see him in couture as well at some point in the future. 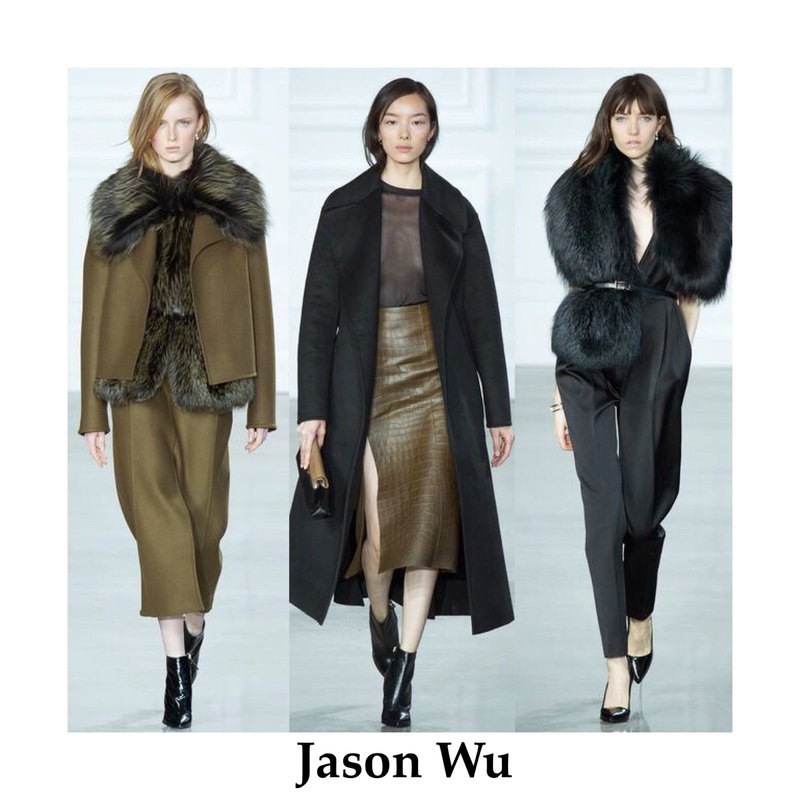 Jason Wu is one of the few designers I can actually remember making it into the big leagues. With the Wintour stamp-of-approval and Obama wardrobe access he quickly shot to the top of the fashion elite, and has stayed there ever since. What was interesting about this collection is that Wu seemed to abandon his usual glamour for a more refined sophistication. A very intellectual and pared-down color palette assisted him in showing off the choices of fabric and silhouette. The merger between minimalist and exuberant served Wu well with precise trims accented with luscious fur. If that sounds a bit like a chocolate syrup commercial, it’s a good thing, because if anything this collection was rich. I’m going to admit a major faux pas here; I’ve never really been a fan of Michael Kors. Don’t get me wrong, the man is a living legend, but the All-American brand thing has never really done it for me, it seems a bit too played out and dull. 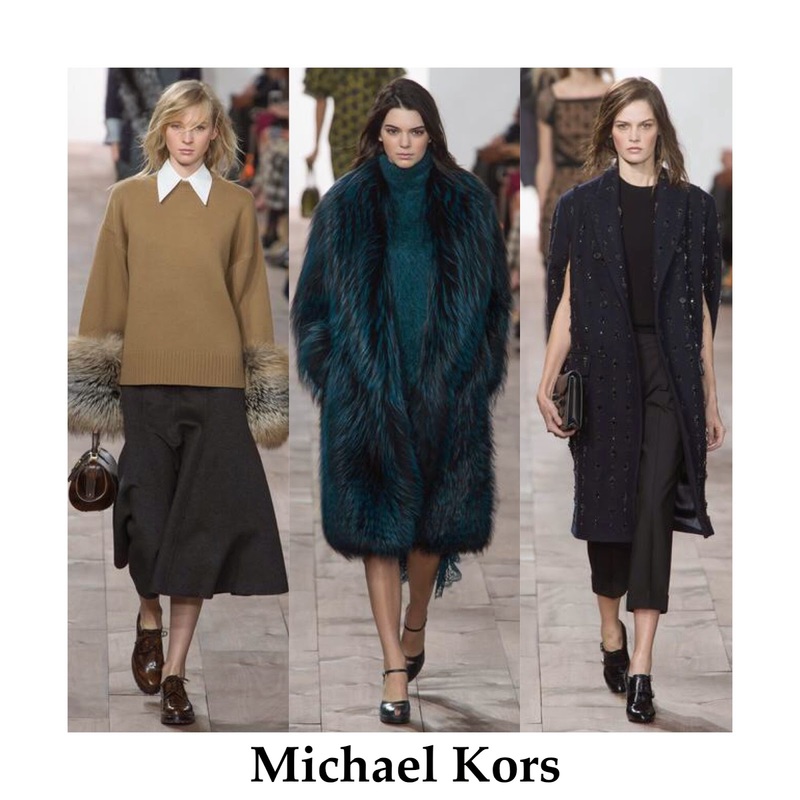 Over and over, Kors seems to churn out modern Daisy Buchanan’s, in a never-ending circle of autumnal colors. But, this show was something special. Fur has been everywhere this season, but none executed it quite like Kors in his sleeve accents and navy shades. Particularly interesting where the exaggerated white collars protruding from cashmere (I’m assuming its cashmere) jumpers. In general the oversized aesthetic works quite well for Michael, so here’s hoping for a lot more of it in coming shows. A/W lends itself well to the designer, obvious in the glam but cool clothing. 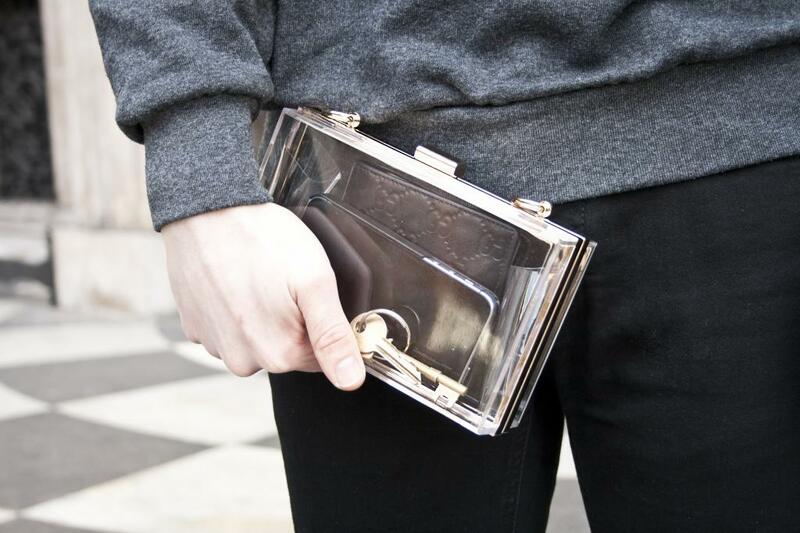 Kors may march to the drum of the consumer of today, but is that always a bad thing? I mean, what is fashion if it doesn’t sell well? And today Mr. Kors, I’m sold. The complete opposite of Kors, Hernandez and McCollough design their clothes with a story in mind rather than a store. 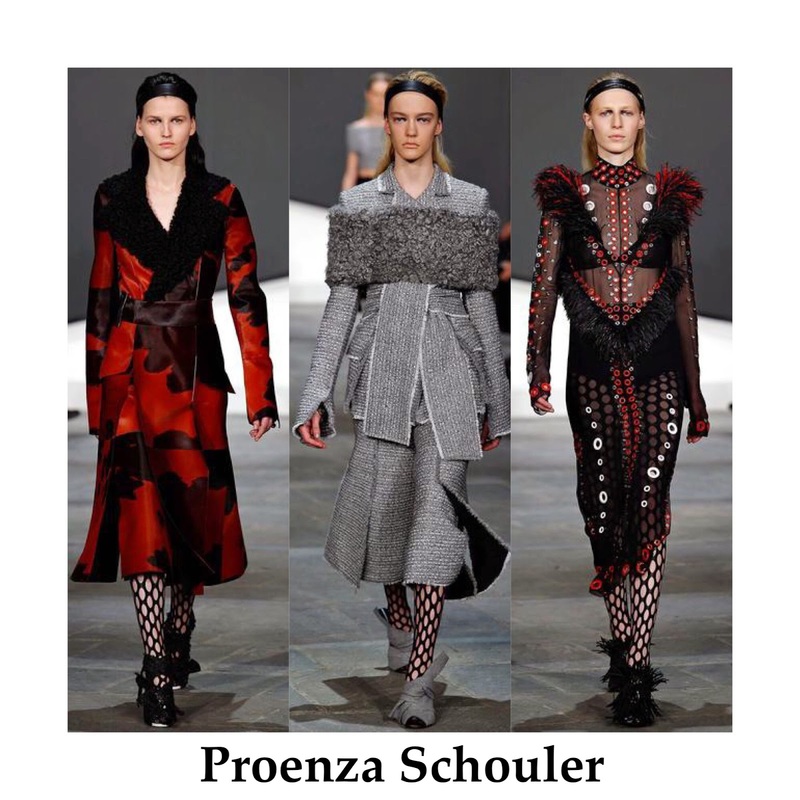 Drawing from a clash of Abstract art and 1940’s glamour, Proenza exhibited a collection many other brands would never have the guts to, and there experiment seems to have succeeded. Geometric cutouts contrasted flowing silhouettes and fur fringes. The girl they had in mind was a mix between warrior princess and Vegas showgirl, but somehow it seemed to work. To some this collection is as difficult to understand as the pronounciation of the brands own name (Pro-end-za S-koo-ler), but to some it was perfectly out-there, creative and rebellious. The show was polarizing to say the least, but it had me flushed red and excited for their future work. Kim Kardashian. With the mention of that one name your interest in this post has probably gone from a solid 6 to a 10. Why? Do you know Kim? No. At least not personally, although you probably know some very intimate details about her life, whether you want to or not. Whereas we once focused on the work of celebrities, today their own lives have become a form of entertainment, like a never-ending movie. Instagram filter obsessed and makeup contoured, we mimic the lives of these celebrities, but do we really aspire to be them? Or do we aspire to be as adored as them? Do we all wish we could have our every outfit doted on, our every appearance documented and our every word discussed? Judging by the fact that there are over 235,000,000 #selfies on instagram, we just may. Like the it-girls and it-boys of the moment, items of clothing have their fleeting moments of celebrity. In fact, it-clothing and it-people have risen at more or less the same rate. 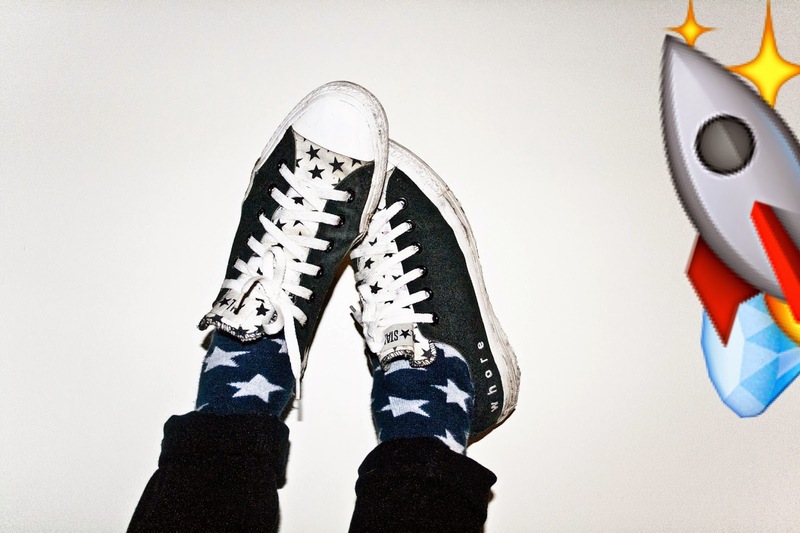 As we become more obsessed with the coolest kid on the block, we also become obsessed with having the coolest kicks on the block. Recent examples include everything Kenzo has put out since the tiger sweater, the return of the sneaker (in varying brand waves) and even the Birkin or Céline bag. But these two have become almost synonomous – major celebrities wear major brands. In the fashion world, it’s even more evident, the major style stars will, without doubt, wear the standout pieces of each season. The main question being whether the bag makes the person or the person makes the bag? It seems to be that, in many cases, neither can exist without the other. Warhol prophetically said that in the future, everybody would be world-famous for 15 minutes. What most think he meant by that is that one day the social hierarchy of people deemed relevant will be abolished – meaning anyone, regardless of talent, wealth or appearance can and/or will be famous. But such a thing can’t exist without everybody being fame-hungry, and as we begin to value each other on the basis of instagram likes, youtube views and website hits we become just that. We’re slowly creating a world where everybody, and nobody, is a celebrity. Because, realistically, what prevents any one of us from becoming the next starlet than a stroke of luck, a transparent lifestyle, and a few million more followers? Nothing. To many, the 17th March 1969 means nothing as a date. To many others, it is the birth date of the most unique persons to ever walk this planet – Alexander (Lee) McQueen. Lee was never a designer, he was an artist. The fact that the medium he chose to portray his art turned out to be clothing was nothing but a lucky circumstance for all of us, as his vision and imagination would have been genius in any form. Like many artists, and indeed those that are most celebrated, Lee used his art as his own psychotherapy, frequently baring his deepest, darkest thoughts onto the runway. Today, the 11th of February 2015, is the 5th anniversary of his death, so today I have chosen to showcase some of his runway shows. To say one McQueen show is lovelier than the other is like comparing diamonds, impossible; each one is unique and beautiful in its own right. The shows I have chosen are those that are most impactful to me, and nothing more. 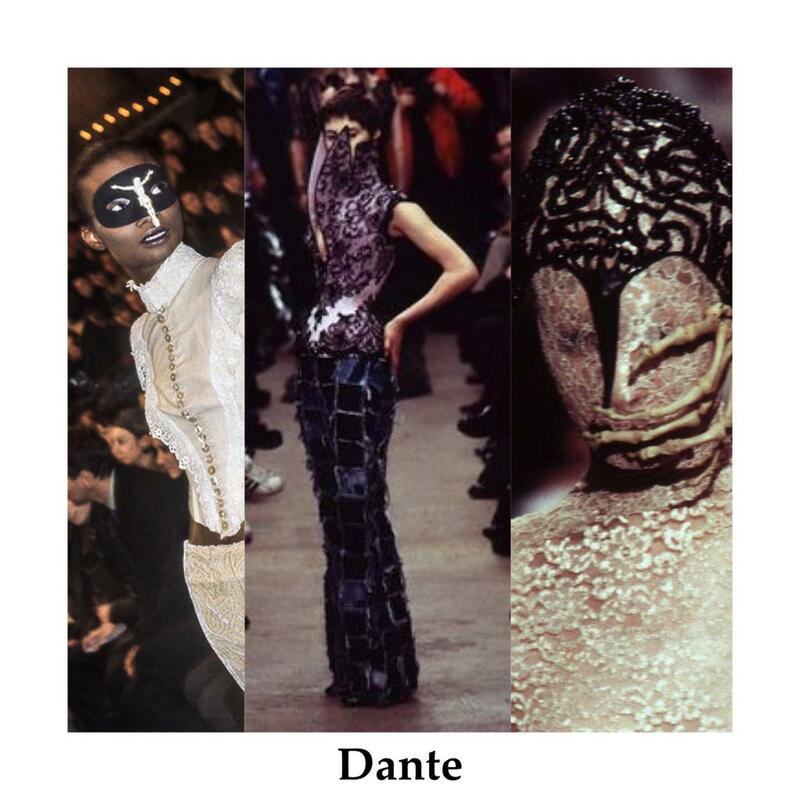 McQueen’s Dante show in 1996 cemented him as Fashions enfant terrible, and even more so than that, as one of the most talented designers of the last century. Staged at Christ Church in London’s Spitalfields, the show started with a sinister flicker of light, gunfire and hip hop. The models walked the runway in the most ingeniously cut silhouettes of the decade, bathed in chiffon and lace. McQueen’s days at Savile Row served him well and the tailoring of each piece was impeccable to the smallest detail, an element that became present in each subsequent McQueen show. Street and Punk fashion collided with High Couture fabrics, in a dizzying whirlwind that seemed so appropriate it made you wonder why it hadn’t been done before. The show may have been inspired by Dante’s Hell, but it took everyone in the venue to Heaven. VOSS is possibly McQueen’s most critically acclaimed show. A theatre piece as much as a runway, the show was staged in a dimly lit room with a mirrored cube in the middle. Deliberately starting late, McQueen forced the fashion crowd to look at themselves for almost two hours before starting, critiquing themselves as they had his previous designs. When the show began the cube illuminated and showcased a room made to resemble an asylum, with white padded walls and mirrors on the sides. What was interesting was that the cube was mirrored on the inside as well, so the models couldn’t see the patrons, in essence forcing them to ultimate consciousness, and freeing their inhibitions from the fashion crowd. Resembling the delusional and disassociated, some pressed their faces against their walls, one laughed at her own reflection and in an iconic moment, one of the models began tearing white clam shells from her dress, as if freeing her insanity from the confines society had wrought upon her. McQueen was forcing the world around him to look at themselves as he looked upon himself. In 2007, McQueen’s biggest supporter and discoverer: Isabella Blow, committed suicide. The loss of one of his closest friends must have wreaked havoc on McQueen’s psyche, and instead of retreating further into the dark, where he was comfortable, McQueen paraded into the light. Many of these pieces, alongside the Pegasus which started the show (made of neon lights) were shown at the Isabella Blow: Fashion Galore exhibit at Somerset House. The exhibit was as much of a celebration of Blow’s life as was the show, and also mostly featured the works of Treacy and McQueen. The exhibition was truly the most amazing I’ve ever seen, which is why this show is one of my favorites. Another reason is that it showcased all of McQueen’s skills and career highlights sewn together using Birds (particularly symbolic of Blow) as an inspiration. Their friendship may have been dark, but this collection showed that McQueen could never have expressed enough gratitude to Isabella (Issy) for all she had done for him, which showed in the newly present femininity in the clothes. Plato’s Atlantis was the first show I had ever tried to live stream. How ironic that it was also the first fashion show live stream that crashed mere minutes before being announced. However, more importantly, Plato’s Atlantis was the last show McQueen ever saw to runway. Plato’s Atlantis was McQueen’s vision of a post-apocalyptic earth where we had all retreated back to the oceans Digital prints of butterflies and reptiles showed the designer was well ahead of his time, further proven by the fantastical shoes which to this day fill the dreams of every fashionista that walks the planet. This is the show that took McQueen from his fashion-icon status and made him a household name. To this day, I have never seen a better executed and more beautiful runway than this, and I doubt that will change in many years to come. A few months later, and exactly 9 days after the death of his mother, Alexander Lee McQueen committed suicide. He left a note to look after his dogs, and hung himself using his favorite brown belt. The event was an apocalypse in itself, the death of one of fashions most unique artists and beloved designers. May we remember McQueen by his artistic merit, not his personal troubles; may we remember him until our return to Atlantis. 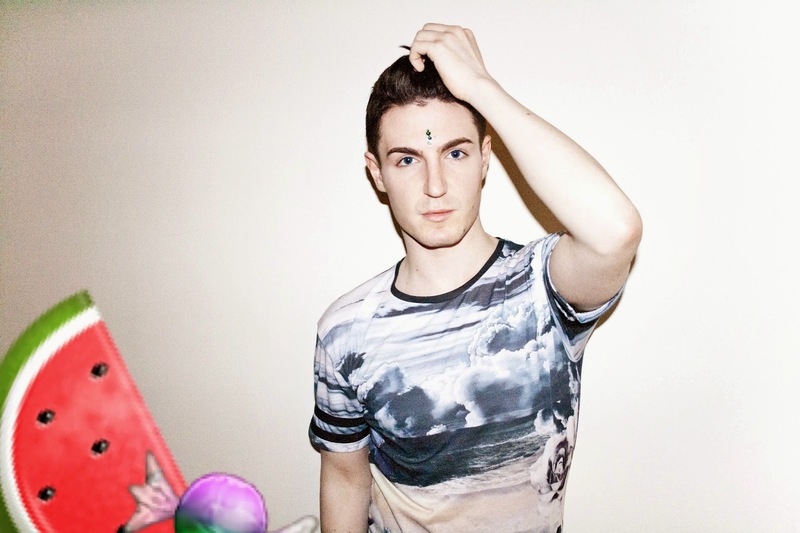 There’s one thing that most people don’t know about me: I grew up on rave and house. My Dad having once been a DJ, and my Mom having been a party animal, both listened to electronic music in the late 80’s and early 90’s, when it was just beginning to take off. In fact, dance and electronic music was so popular at the clubs back then that people never said they were going to a party or a club, they said they were going to a rave. 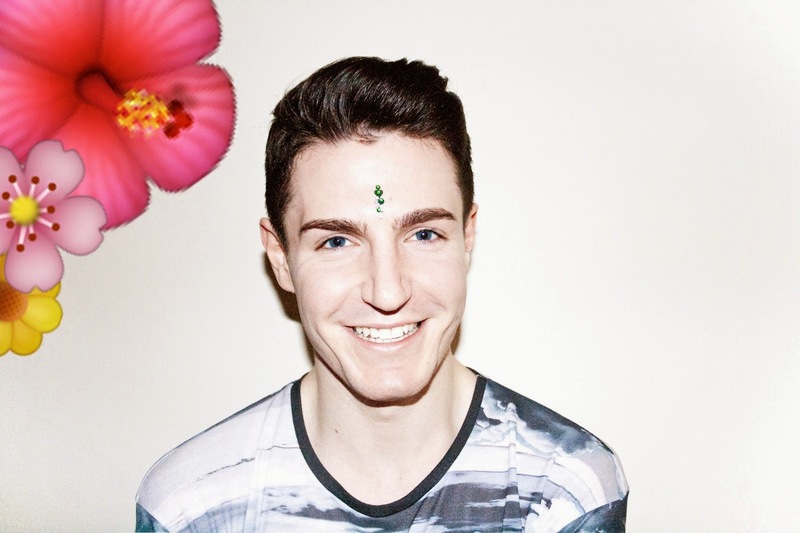 So, I thought, what better time to talk about “EDM” than after taking these pictures before going to a Steve Aoki concert at Brixton Acedmy? 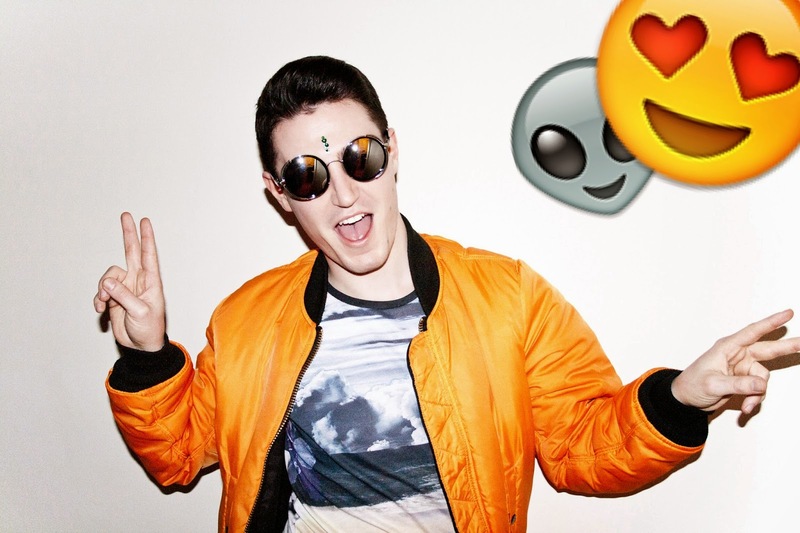 EDM seems to be the new term we’ve invented for this genre of music, but guess what: all Dance music is electronic. Saying Electronic Dance Music is like saying Guitar Rock. Electronic music in general is a very European genre. While America was rocking out to Kid Rock, Europe was discovering Ministry of Sound. Only in recent times, and with the approach of festival culture has Electronic music really taken off in the US. Festivals, like Coachella, have now spurned their own culture and become a part of young life. Festivals and electronic music in general are both all about being happy and carefree, and seem to have come about as a sort of antecedent to the economic depression etc. In turn this festival obsession has created a new dress code, mastered by Kate Moss in wellies and Kylie Jenner in bindis, which in turn has poured out into street fashion. 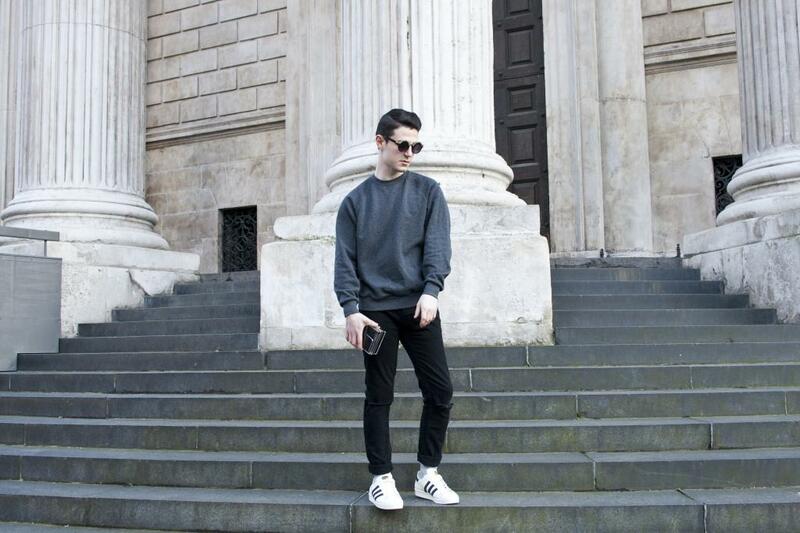 Todays’ festival culture isn’t the only example of music influencing fashion and vice-versa. No Burberry show would be complete without Bailey’s latest Soundcloud discovery, just as no David Bowie throwback would be complete without a glittery leotard. 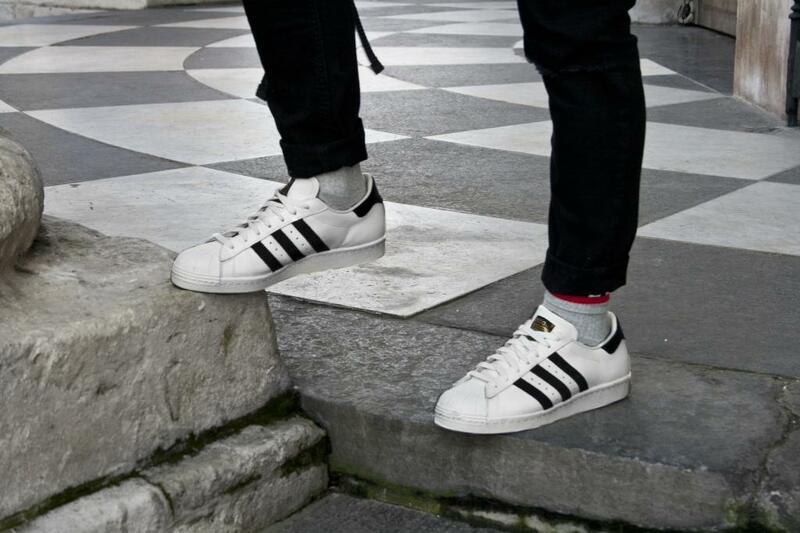 Fashion shaped the icons of the 80’s much in the way the icons of today shape fashion. Would leather trousers really be a thing without Kanye? Would Kanye even be a thing if he hadn’t worn a Louis vuitton backpack back in the day? Music, Fashion and Celebrity Culture have become so tightly intertwined that it’s hard to see where one starts and the other ends. In any case, just like a good festival, as long as you’re having fun, it doesn’t really matter. Till Wednesday, peace out <3. In the last FRU Profile you met Little Red Riding Hood, now it’s time to meet the Big Bad Wolf. That’s not just a clever turn of phrase, the literal translation of our subjects name (Vuk, pronounced Vook) from Serbian is Wolf. 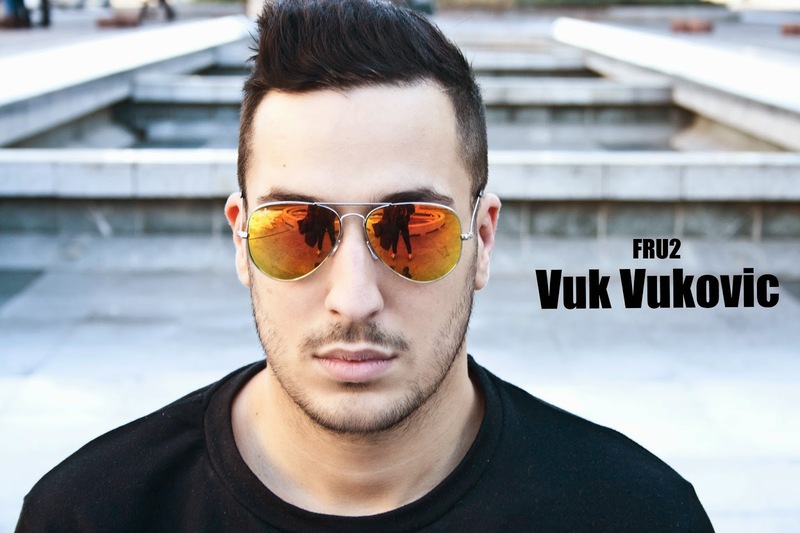 Although he may be a wolf by nature, Vuk has the perseverance and uniqueness of a true Underdog. In the grand scheme of things, I haven’t known Vuk for long, but we’ve become very close friends very quickly. He’s one of those people you truly expect to be a forever friend. He has a Masters degree in IT, and a doctorate in being an IT boy, but his future, as he sees it, lies in fashion journalism. We’re very different in many aspects, but what we do have in common is an outspoken personality and a love of fashion. 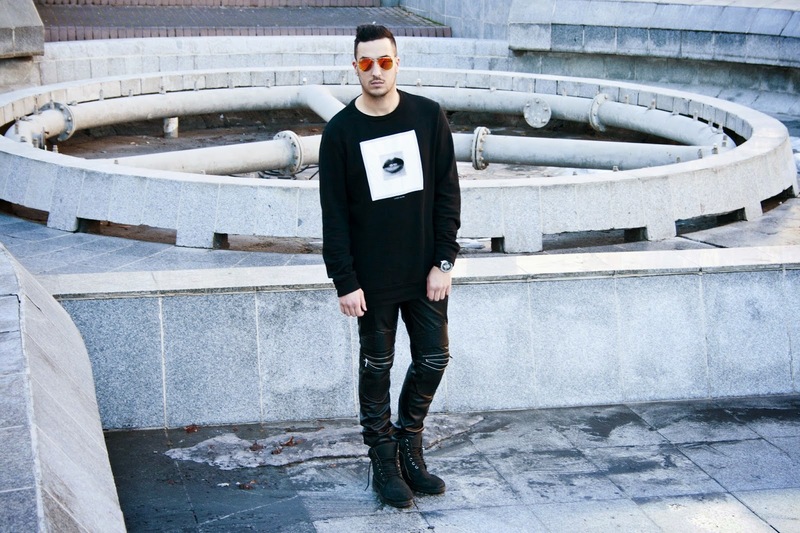 A true Montenegrin, Vuk is charismatic and confident, which means he can basically carry off any look he likes. 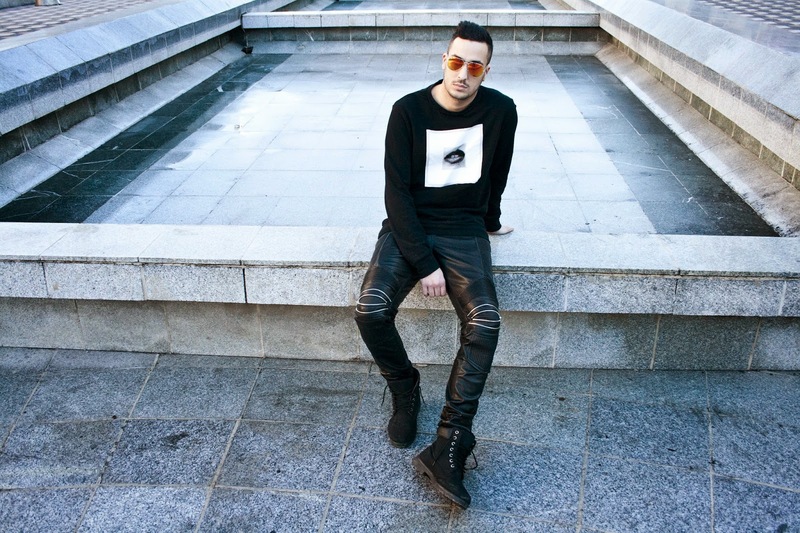 Vuk’s style helps him stand out in the pack, another reason he can be considered an underdog. 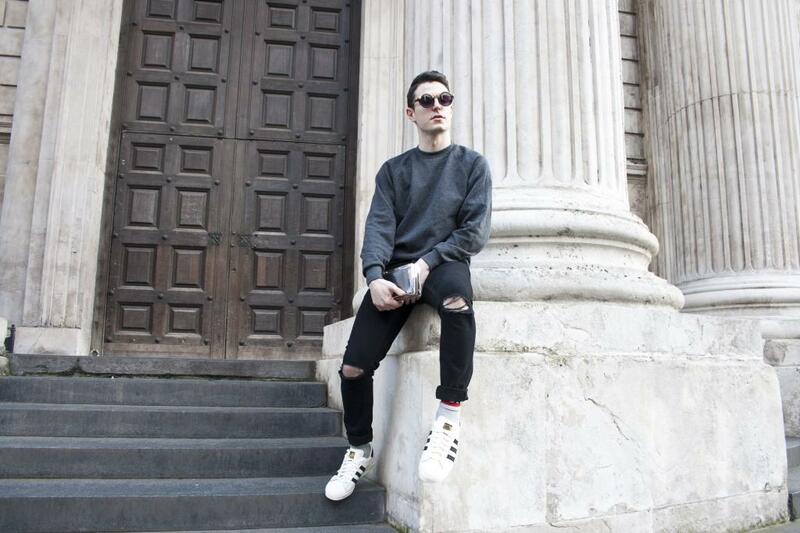 Living in Eastern Europe isn’t easy when you have the style sense of Scott Disick and the sass to match, but Vuk has persevered and proven himself as a survivor. I’m especially happy to be a part of his life during this period, as I get to see him going from ripped jeans to wearing the trousers in his life. He may be an Underdog at the moment, but he’s an Alpha at heart. There is nothing as magical as couture. Exclusive and exuberant, the designers who can pull off couture are few and far between. It would be difficult, and crass, to say that any couture show is better than the other, as each and every one has it's own beauty to it. Therefore, I can't describe this list as the "Best of Couture", just as a compilation of my favorites for Spring 2015. 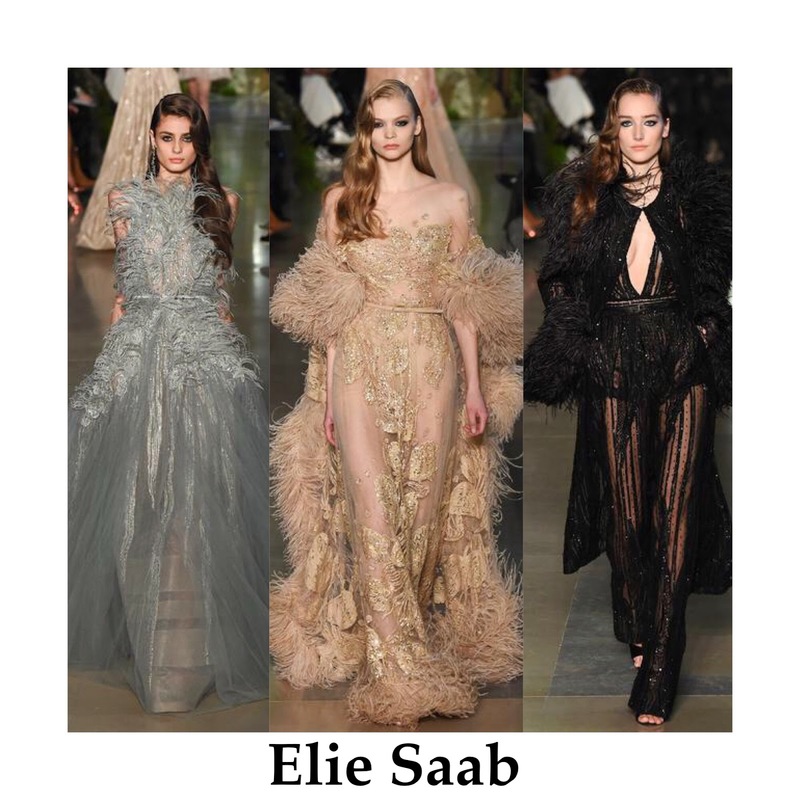 I love Elie Saab, and love is not a word I use lightly. There is not one designer who can create clothing like his, so exceptional, effervescent and elegant that it could bring a tear to a bloggers eye. Some may say Saab is slightly predictable, but why change something perfect? He infused freshness into his brand by adorning the dresses with dramatic ostrich feather, and shimmering floral paillettes. It may be glamour at its highest point, but Saab’s collection also drew deep personal roots, with prints taken from a tulip dress his mother wore as a child. If anything, these pieces served as an alternative to those who want to wear Saab but aren’t fans of the sheer. All in all, Saab does it again, and if I had it my way, Saab would be all we would ever wear. You should know by now that I’m a slave to pairings of the unconventional. Hence, it’s not suprising that I was set up to love the Giambattista Vali show, which paired the aesthetics of Coco Chanel and Janis Joplin. Although it may seem like an impossible pairing, let us not forget that Chanel was none less of an aesthetic ground-breaker than Janis. In her time, she was seen as a style rebel, and frequently broke the norms to create new styles for the IT woman to wear. Giamba took the styles of these two icons and veiled them with a thin layer of spring, where pastels meet acidic tones and dainty flowers spring from the seams. The wide-legged trousers overlaid by a flowing dress were particularly literal interpretations of Joplin, with tweed blazers serving as the Coco counterpart. This was what couture is meant to be; intricate, inspired and iridescent. It could’ve been a sad show at Gaultier today. His first show since terminating his ready to wear line last September, the show could have been a post-battle wound lick. That is, unless you’re Jean-Paul Gaultier and title your show “61 ways to say Yes”. Gaultier doesn’t do sad, and this show proved that point. Instead, he brings fun to what was an otherwise very serious week of Couture. I mean, the man closed his show with Naomi Campbell representing a bridal bouquet. The brides walked down the runway in hybrid creations blurring the masculine and the feminine, in combinations of both the strict and the reckless. Particularly outrageous was Lindsey Wixson in a beekeepers outfit and hair done to resemble a wedding cake. Gaultier puts the Show in Fashion Show, and couture is no exception. In conclusion: Was it camp? Yes. Was it utterly fabulous? Absolutely. Being an Eastern European, I was born with a love of Russian romanticism. 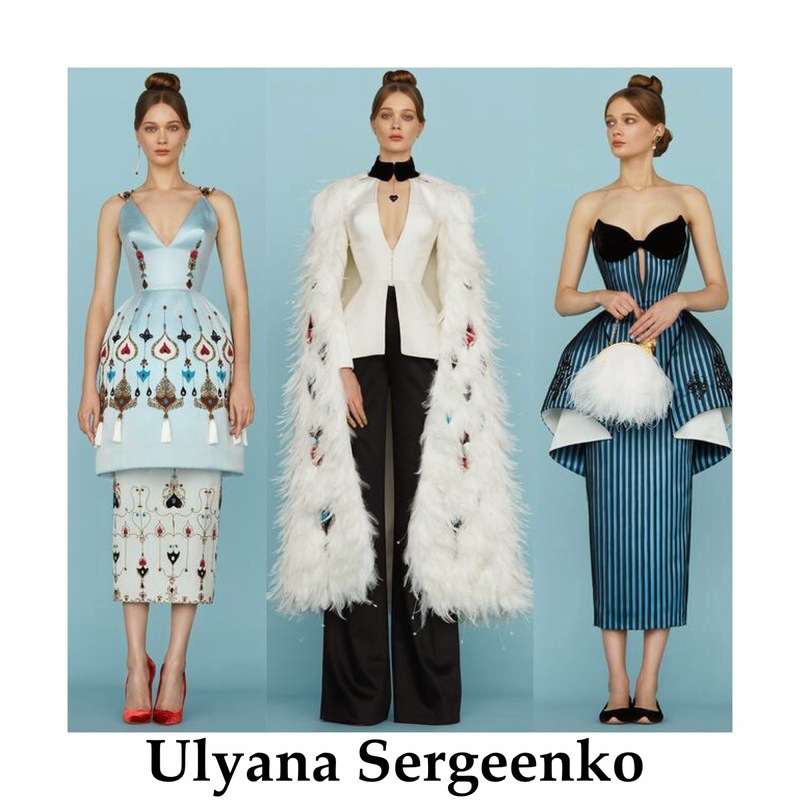 Also, as an Eastern European, I can understand the narcissism behind the Ulyana Sergeenko brand. Looking at the clothes, the message is clear, Ulyana is her own muse. Hourglass silhouettes with sharply tailored fits mimic the clothes she herself has worn since being thrust in the spotlight. Her collections are celebrations of Russian culture, and experiments into how far you can really go with detailing and embellishment. Hers is a Russian Dolce & Gabbana world, less Italian but even more feminine. This collection was particularly stunning; with so many intricate details one could stare at each garment for hours. It was the type of clothing you’d expect Audrey Hepburn to wear if she had played Anna Karenina. Ulyana may be selling herself as a brand, but who wouldn’t want to be part of the Russian Princesses world?